A really quick post… and a sad one for me. Unfortunately, my Insanity days are over for now. So I can’t really say much about it except I did like it while I was doing it. I didn’t lose any weight, but I did see improvement in strength and endurance. Maybe when I get better I’ll start over from the beginning, but for now it is game over! It’s been really crazy! Been working double shifts + my trainings and I didn’t have time for anything! Insanity’s going well. If everything went according to plan I was supposed to do my 2nd fit test today and see the results. However(! ), as I said, it’s been crazy and I really didn’t have the time to do three days of exercise so I did them all on Sunday which is my rest day. That is why today I’m resting and I’ll do the fit test on Sunday and post the results then. Reporting after the first day! The first day isn’t really that bad, but it shows you what’s to come. Be sure to keep score of your fit tests to know your progress. I will post mine in 15 days when next Fit test is scheduled so we can see if there is any progress (hopefully, there will be). Ok. So holidays are over and it is time to get back in shape! I don’t even what to know how much I’ve eaten *nom nom nom*, but a little exercise couldn’t hurt. Or could it? 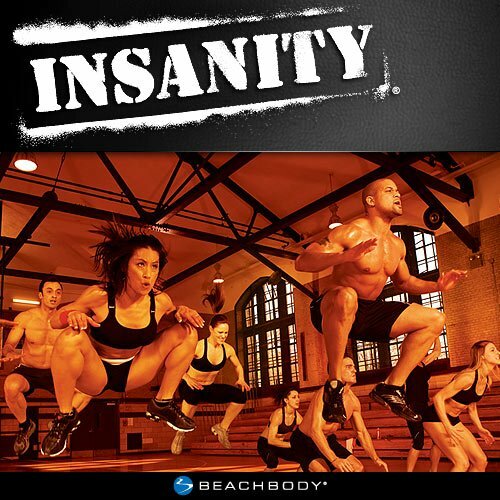 I’ve decided to start Shaun T’s Insanity workout. It lasts for 60 days (an hour a day) and you get a day off in the week. I’ve heard good things about it. I’m excited about this and hope I will last the whole programme. I will be putting weekly posts starting from tomorrow about my progress and later on perhaps some before/after pictures (will see how it goes). If anyone of you have done it already, please leave a comment with any advice or if you would like to start exercising with me from tomorrow that would be great!